Beautiful top quality tea towel with original and exclusive hand drawn design. 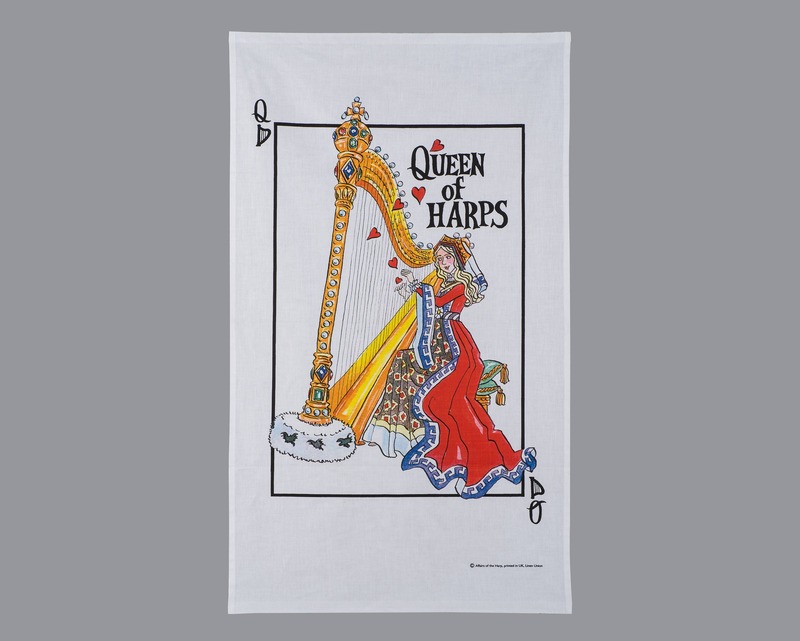 Motif reads "Queen of Harps " and the design is a delightful, colourful and fun drawing of a harp and harpist looking truly regal and resplendent. . This would make a perfect gift for anyone in your life who is a music lover, especially if they are a harpist! Or you could buy it for yourself as it makes a wonderful addition for your own kitchen. Would look absolutely stunning hanging over the counter top in a country kitchen. Or, as some customers have done, frame the tea towel and hang it on the wall as a colourful decoration for your kitchen. This tea towel is of top quality linen union which is an 8oz linen/cotton mix. You really can't get a better quality tea towel. This design is EXCLUSIVE, so you won't find this anywhere else! Made in England - in the county of St Albans, just up the road from Hatfield House where Queen Elizabeth 1 spent her childhood ! Dimensions are: 49 x 69 cms . Comes in its own sealed plastic bag for protection. Can be gift-wrapped for free with a card with the same "Queen of Harps" artwork. 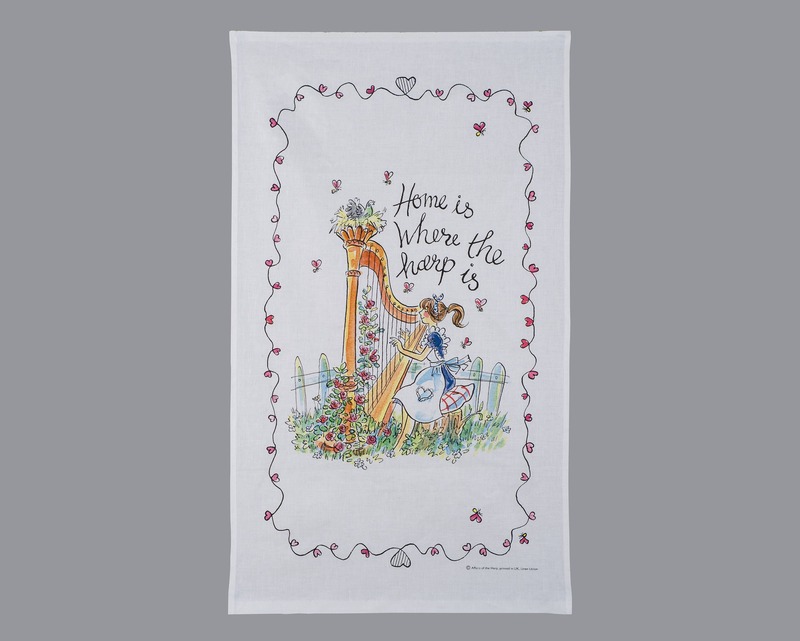 Why not buy the set - see the other fabulous tea towel "Home is where the Harp is."